Passion will find its way in your life this month. There may be instances when you will enjoy a hot date with your partner. You will be attracting admirers with your charming nature which will increase during the month. Try to strengthen your weak points when it comes to your love life to get that love interest during the month. Those who are going through heartbreak will seek some solace time to renew themselves. The month will give you a chance to mend the ‘cracks’ in your love life and you will excel in that as well. Your partner would be happy to spend some quality time with you this month. You can make use of your sensual being to bring over a change in your relationships with your loved ones. The month will also give you chances to spice up your romantic relation and this will help you in increasing your proximity with your love interest. Do not lose any chance to strengthen your love bond with your partner. The month may bring along some moments of misunderstanding with your partner, especially for those who are married. However, your best bet during the situation would be to just go with the flow of the things and things will fall into their place on their own. Be honest in your relationship and it will have a positive effect on your love life. The month of April could make or break your new romantic relation. However, if you like someone, do not hesitate to express your love. Otherwise, you may lose your love interest to someone more daring than you. 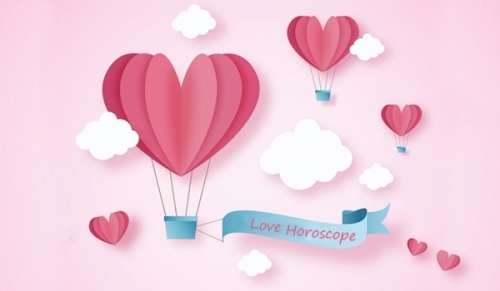 Maturity will be an important aspect of your love life this month and both of you will grow with the relation. This will have a superb effect on your relation and will make it more exciting. A confrontation may appear in your relation this month. However, be a little patient and make sure that you do not lose your temper. Otherwise, it may hamper your cordial relationship with your partner and there would be little that you would be able to do to rectify things. Be objective but do not be adamant about talking about the things troubling your love life with your partner. Do not neglect your partner during the month as it may have adverse effects on your otherwise cordial love relationship. Try to listen to what he or she wants to say and pay heed to what he or she desires from you. You need to prioritize the people in your life and determine how much of you each individual deserves. Most times giving without seeking anything in return is a noble thing to do. However, it is okay to ask for a return on your emotional investments. For couples, it would help to put more time into nurturing your relationship and even considering commitment in the form of a formal engagement. The month is also a perfect time to clear out the confusions if any in your relationship. You may sometimes feel restricted in expressing yourself in your love relationship. However, during the month you may find instances when you would be able to overcome this tendency. A conflict may have occurred in your love relationship and you may not know what to do about it. You may want to review your past decisions regarding your love life during the month of April. However, do not take any kind of unnecessary risk that may hamper your love life. You cannot fix all kinds of problems in your love life and it is fine to seek some outside help in some situations. Lead from the frontlines in the month of April and you will find that your willingness to take charge in your love life will work to your benefit. April could very well be the month in which you enter a new phase in your relationship. Make use of this time to reevaluate your love life and make the appropriate changes that are required. Make it special for your love partner and add excitement to your love life. April is a good time for lovers and so much more for married couples. Make efforts to create an aura of love in your relationship. It would be better to add that element of fascination as well as a mystery to your relationship. This combined with your charm will make you stronger in your love life. Moreover, if you are looking for adventure and excitement in your relationship, the month of April is perfect for you. You may feel the urge to increase your closeness with your partner and the month will also give you ample of opportunities to do so. Your goal is attainable and with little efforts, you will be able to achieve what you want. Your partner will also be happy sharing some intimate moments with you during this month. Both of you will enjoy a positive attitude and better understandings of things during the month. During the month you will get ample of opportunities and chances to rectify your relationship with your partner. Your sensual and sexual desires would be accomplished and everything will go smooth as per your desires. You have given much time to your love life and now is the time to reap the good results of your hard work. Tensions may build up in your relation at some point but your perseverance will help you to overcome it.